Thorough market research had been done to initiate the concept of Gallery Scene. 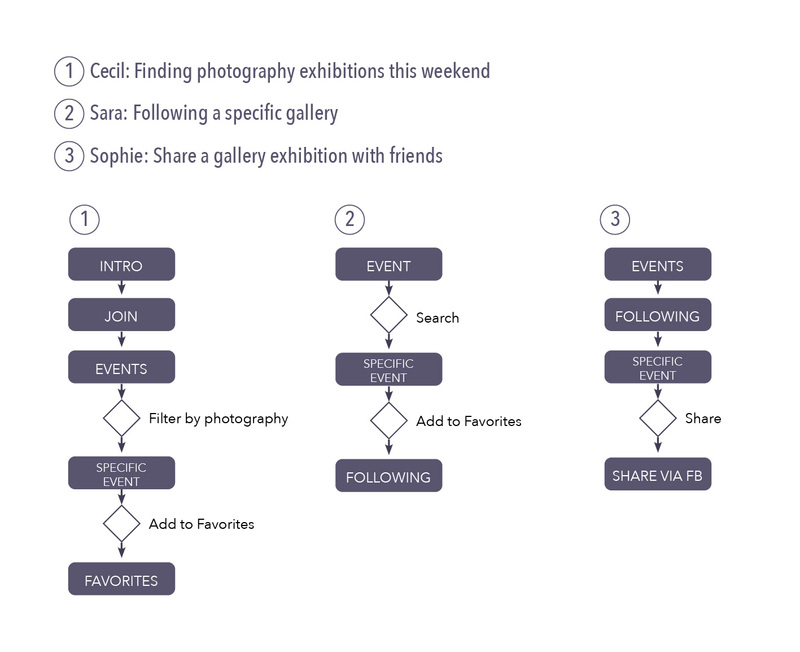 This diagram illustrates features and functions of Gallery Scene in comparison with major solutions available in the market. 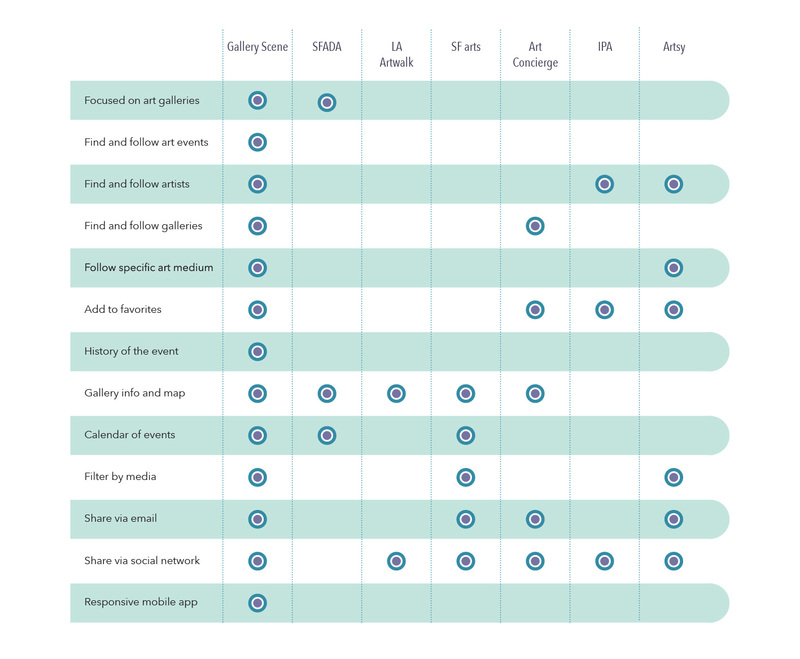 This analysis shows the need for Gallery Scene app that focuses more on art galleries and enables users to stay in touch with galleries and artists of their interest. Primary target audience of Gallery Scene includes art collectors, dealers, buyers, educators, and gallery owners & personnel. 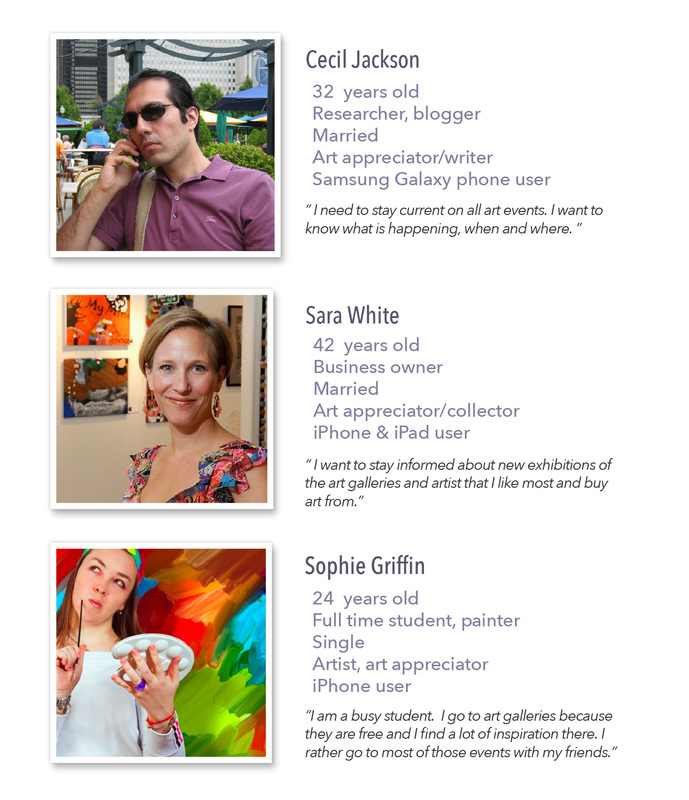 Secondary target audience are art appreciators, students, and frequent gallery visitors. At the beginning, my goal was to promote art galleries and Thursday art (SF art walk) to general art appreciators. At this stage, the focus was on receiving notifications and offering an interactive map for easy trip-planning to Thursday art. Later on, I realized a limited number of galleries participate in Thursday & Saturday art walks and these events are mostly held within the same neighborhood, hence the trip-planning wasn’t an added value to my users. I also recognized a more important need for professionals who would be more frequent and higher value users compared to ordinary art enthusiasts. This new finding led to change of focus for the project. On my second iteration, I simplified home page navigation into: 1) “Events”, that are today’s gallery events; and 2) “My Scene”, that is the user’s personal and favorites section. 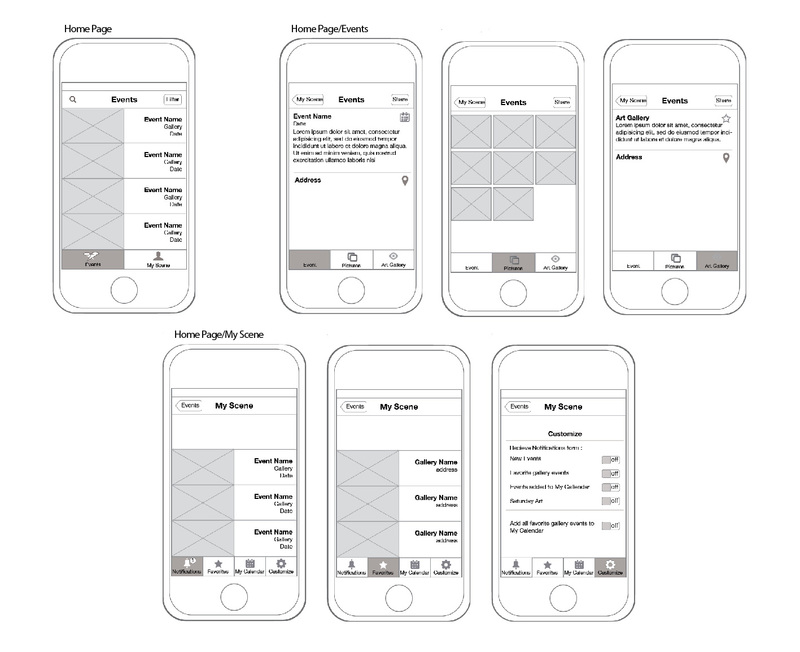 Through user research and prototype testing, I found out that my target audience is more interested in following their favorite art galleries and artists rather than receiving an overwhelming amount of notifications; this has led to the next design iteration. 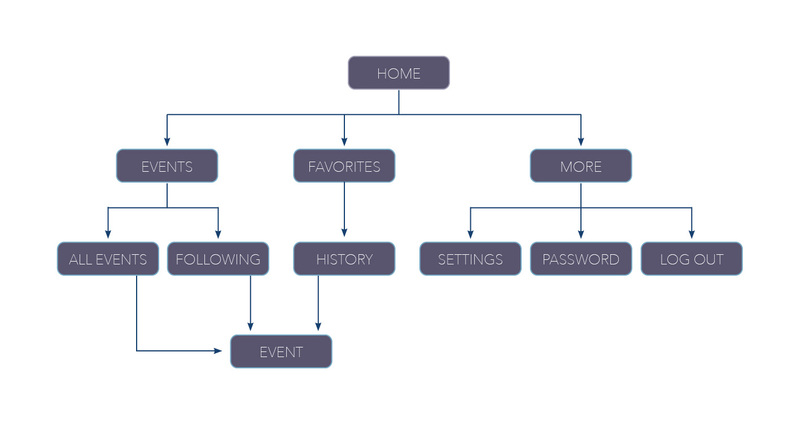 On the third iteration, the primary goal is on the users’ seamless ability to add events, galleries, and artists to their “Favorites” and be able to “Follow” their favorites. There was no major need for “user profile”; but instead, I added “My Events” tab on the main page where user can now follow their favorites. Sorting and filtering functionality is also added to the events menu for further ease of use. I also simplified the “Events” page and consolidated all details in one page using drop down panels. – “Customize” button was in a very dominant position; instead I added it inside the “More” button including other utility links. 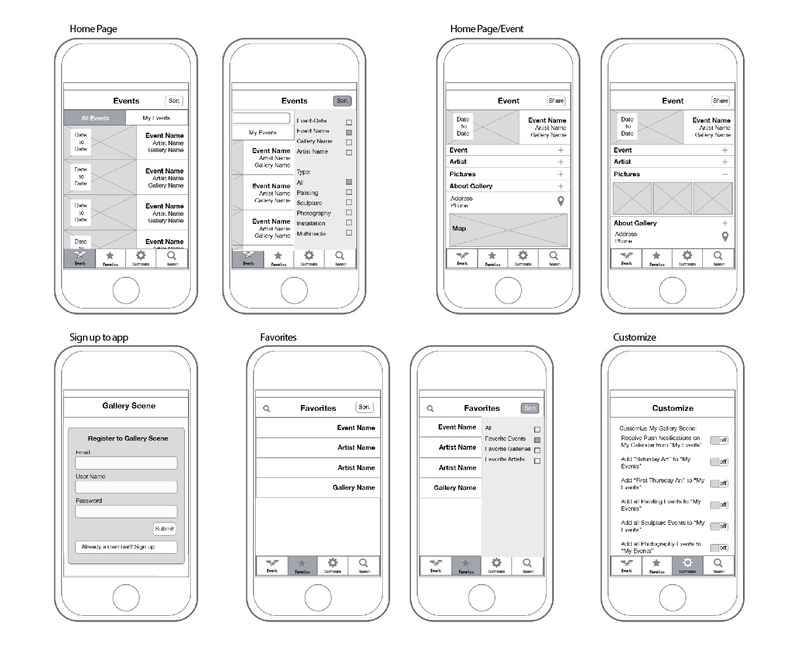 – A calendar to give the user option of choosing a date for their events. – To eliminate confusion, added descriptive texts for first time users. Promoting their new exhibitions, art galleries post information about the gallery and their events on various blogs or art related Websites. 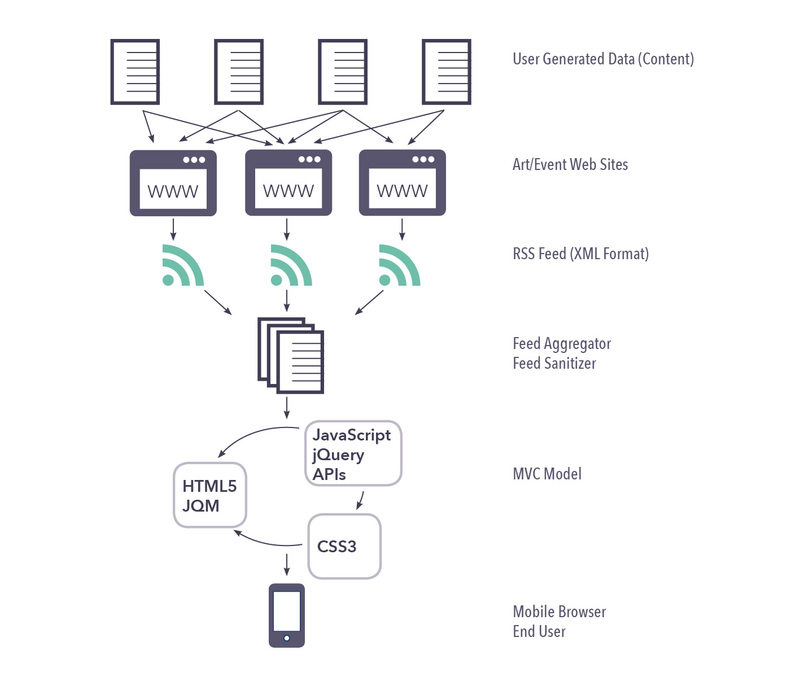 Most of these Websites publish this user generated data via RSS feed. 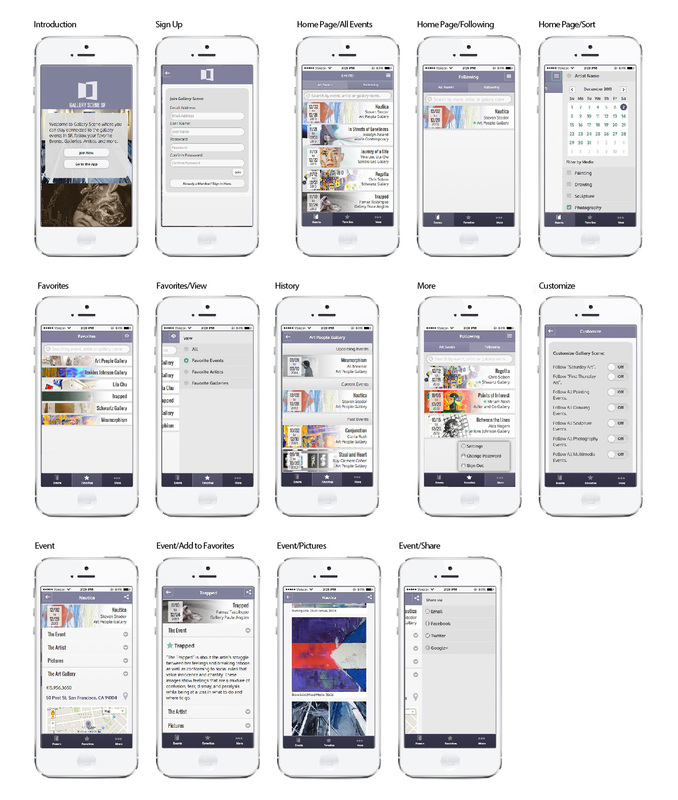 Gallery Scene retrieves these RSS feeds to create the app’s content. Gallery Scene is my MFA thesis project. The project started with extensive market research. After identifying my initial target audience for the app, I interviewed different segments of the audience during the need-finding step. The project changed direction once the target audience was refocused towards individuals within the business of art instead of the initial broader target of general art appreciators. After analyzing the interviews, I learned that art dealers and collectors need to constantly stay in touch with their network; i.e. galleries, and artists they often work with. Hence, main goal of Gallery Scene app has changed to enabling users to follow their favorite events, galleries, and artists. Although, the app still provides information about all art galleries and their events to the general audience. 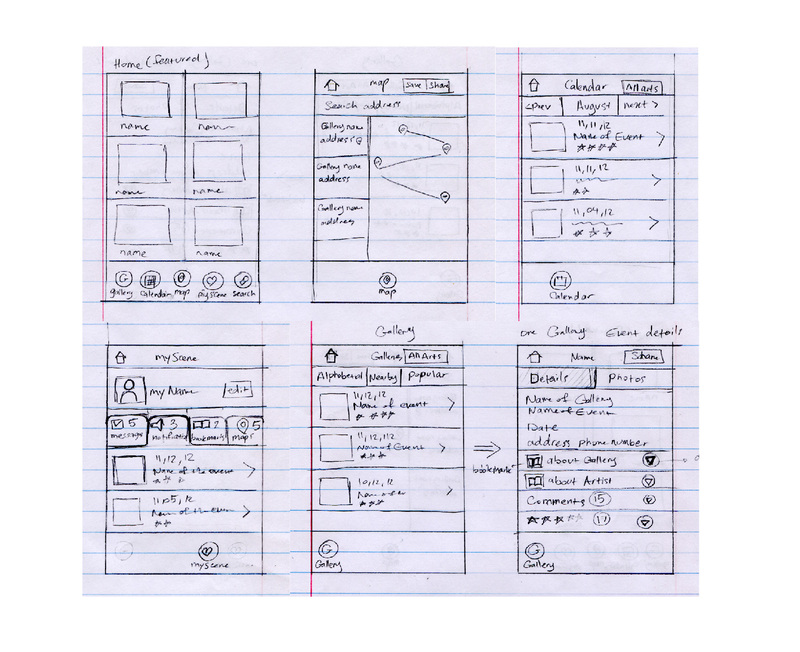 For a superior user experience, each step of design was accompanied with user interviews, reevaluating, and constant testing on all levels: From low fidelity paper prototypes to high fidelity web prototypes.